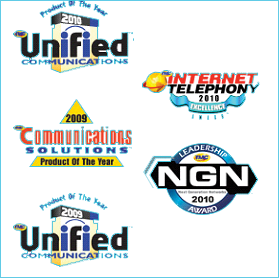 Telecommunications Specialists Serving the Pennsylvania, New Jersey, Delaware area. 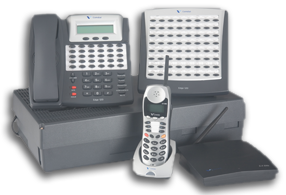 East Coast Communications sells and services the latest technologically advanced phone systems. Manage your voicemail visually through a	simple intuitive interface, letting you prioritize your messages at a glance. Easily place and transfer calls and manage contacts with drag-and-drop simplicity. Import contacts from your Microsoft® Outlook directory, making it easy to search for phone numbers. Make and share notes about a particular call, and bookmark sections of a voicemail message to identify critical parts of a call. Confirm if a colleague is at a meeting, traveling or available by phone before initiating a call, conference or forwarding a call to that individual. Record all calls, calls on demand, or on a customized schedule to confirm customer orders, support compliance efforts and facilitate training and coaching. Provide a professional call experience by directing prospects, customers and business partners to the right person or department, without the intervention or cost of an operator. Dramatically improve your customer service and your competitive advantage with advanced call routing based on real-time lookup of customer data. Aggregate multiple locations into a single telephone system, combining users from various locations to present a single network wide extension list and dial plan. "Wave 2.0 is a significant 'leap' ahead in features and functionality. Instant Messaging, both individual and group Instant Messaging, are huge and enhance productivity significantly. The new Mobile Extension feature, where users can now use any device, such as their cell, home phone, softphone etc, for their Wave extension is great and allows productivity to continue no matter where the user happens to be. Finally, the persistent notification mechanism in Wave for emergency on call notification and WaveMail where ViewPoint and your email are always completely synchronized for both Contacts and Voicemails adds to the overall value of Wave 2.0!" Enjoy the benefits of VoIP now, or evolve at your own pace. 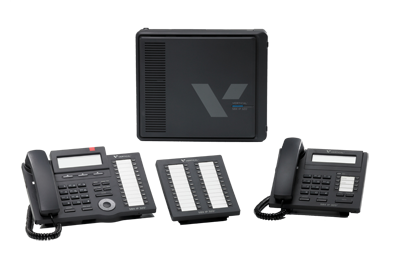 With the Vertical® SBX IP,™ you get support for traditional endpoints, IP endpoints, and SIP trunking in a single system. Which means you can deploy VoIP immediately or migrate at your own pace. Plus, the system can accommodate up to 48 users and multiple sites, so you enjoy pay-as-you-grow scalability. Leverage your investment by delivering voice and data over a single IP circuit. Or deploy telecommuter options without the expense of moving to an all-VoIP system. SBX IP can take advantage of T1 or PRI trunks to provide cost savings and functionality traditional analog trunks don't offer. Get up and running fast—and stay that way. The Vertical® SBX IP™ integrates easily with existing networks, supporting a variety of phone types including digital, analog, IP phones, soft phones, and Wi-Fi phones for mobile users. Our pre-configured database templates make installation a breeze. Add users or change settings simply by using PC software. It's a flexible system that can be administered through digital phone, modem or LAN—even via remote connection. It's easy to use, too. You empower employees to use its range of phone and voice mail features thanks to an easy navigation pad and LCD feature menus. Ultimately, the SBX IP lets you focus on running your business, not your telecom system. Proven Use the telecommunications system already used by thousands of businesses around the world. The Vertical® SBX IP™ was developed in partnership with an LG electronics joint venture. With thousands of systems sold worldwide, this communications system has a proven track record. Now it's able to deliver enterprise class capabilities at a price small businesses can afford. The SBX IP is a solution you can rely on call after call—day after day. 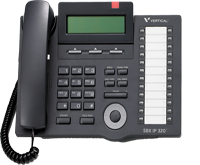 With the Vertical SBX IP converged telephony system, VoIP is easy to install, easy to manage, and easy to use. Improve customer service through enterprise-class communications. The Vertical® SBX IP™ lets you respond quickly to customers, vendors and partners, giving your organization the flexibility it needs to compete in an increasingly competitive marketplace. It's ideal for small companies—or small companies that want to be big. n Integrated voice mail/auto attendant for professional greetings n Robust voice mail functionality for users that allow a user to be notified of a voice mail via email n Mobile extensions and linked stations n Uniform call distribution, including call center functionality, agent wrap up, and supervisor functions n With the ezPhone application, CTI integration with Microsoft® Outlook® is available n Multi-party conferencing for up to nine conference rooms n Multiple tenant groups allow you to partition groups by department n VoIP (SIP) trunking reduces expenses and provides flexibility n Robust call routing capability enables live answer, auto attendant, or backup auto attendant coverage patterns. MBX IP™: Enterprise Capacity. VoIP Ready. Proven Features. Work smarter. Work faster. More than a phone system, MBX IP can improve operations, intra-company communications, and processes. When you communicate more intelligently, you impact your bottom line. The MBX IP system provides a scalable solution for business that require up to 250 users. Because MBX IP is a converged telephony system, business can choose a mix of digital, analog, cordless, or IP telephones to meet their requirements. MBX IP provides a migration friendly pathway for existing MP-5000, FX-II and XTS IP systems, supporting traditional endpoints, IP endpoints and SIP trunking – all with a single system that is scalable to meet the demands of enterprise customers. MBX IP will support all of the existing XTS-IP, FX/MP digital, and SBX IP endpoints, including the new Edge 8000 phones, as well as, having a compatible feature set. Deploy VoIP immediately or migrate at your own pace. The MBX IP system provides hundreds of standard features that allow the system to adapt to your business requirements. Automatic Call Distribution, including call center functionality, agent wrap up, and supervisor functions. Network small branch offices using the SBX IP system to facilitate a seamless communication network. With MBX IP, you get support for traditional endpoints, IP endpoints, and SIP trunking in a single system. Which means you can deploy VoIP immediately or migrate at your own pace. Plus, the system can accommodate up to 250 users and up to 72 multiple sites, so you enjoy pay-as-you-grow scalability. Leverage your investment by delivering voice and data over a single IP circuit. 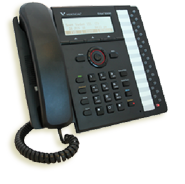 Or deploy telecommuter options without the expense of moving to an all-VoIP system. MBX IP can take advantage of T1 or PRI trunks to provide cost savings and functionality traditional analog trunks don't offer. Get up and running fast—and stay that way. MBX IP integrates easily with existing networks, supporting a variety of phone types including digital, analog, IP phones, soft phones, and Wi-Fi phones for mobile users. Our pre-configured database templates make installation a breeze. Add users or change settings simply by using a web browser! It's a flexible system that can be administered through digital phone, modem or LAN—even via remote connection. It's easy to use, too. You empower employees to use its range of phone and voice mail features thanks to an easy navigation pad and LCD feature menus. Ultimately, MBX IP lets you focus on running your business, not your telecom system. MBX IP was developed in partnership with LG Electronic's worldwide leading telecommunications division, LG-Ericsson. With thousands of systems sold worldwide, this communications system has a proven track record. Now it's able to deliver enterprise class capabilities at a price businesses can afford. MBX IP is a solution you can rely on call after call—day after day. MBX IP lets you respond quickly to customers, vendors and partners, giving your organization the flexibility it needs to compete in an increasingly competitive marketplace. The DX 120 Business Communications System is designed to give growing enterprises all the sophisticated communications features of big company digital systems in an affordable, easy to use and highly scalable package. 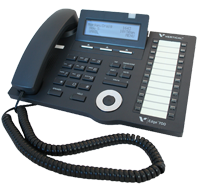 It comes standard with nearly 200 user friendly features previously available only to high end PBX's and is designed for offices from 2 to 80 employees. It also supports both T1/ISDN-PRI and analog trunking, conferencing, powerful Voice mail and auto-attendant options, and remote configuration. You can start small with a few telephone stations and expand as your business expands without having to sacrifice any of your original DX 120 equipment. Each of our telephone systems is available with a Voicemail and Auto Attendant to answer your calls so you can free up the valuable time of employees. This is especially useful when having a small office with limited resources. Have calls directed to specific extensions or mailboxes accordingly. For instance, if you have a small office and a call comes in for accounts payable, you can direct these calls to a Voicemail box and listen and return the calls when the time allows. Thus, freeing up time to answers sales calls, etc. Details on these systems are available by calling 215-513-1778 or toll free 866-513-1778. At East Coast Communications, we believe in customer service, safety, and fair prices. We are the area's number 1 choice low voltage electrical experts who go the extra mile to make certain that our technicians are experienced, well trained, and skilled. Our technicians know exactly what they are doing, therefore they don't need to waste time fumbling around or figuring things out, so that keeps our labor costs down. We pass that savings on to our customers and have been for many years. East Coast Communications is the leading telecommunications contractor you will find in PA, NJ, and DE, specializing in Phone System Services and Data wiring and network cabling. Contact us, and your telecommunications needs will be taken care of promptly, safely, and cost effectively. We pride ourselves on excellent customer service and constantly update and train our electricians on all the new trends in the ever changing world of technology and communications.